The bond-length parameter for each chemistry drawing determines the overall size of the drawing. 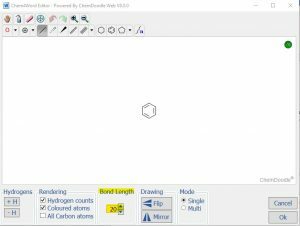 To change the size of a chemistry drawing in your Word document, change the bond length using the editor. 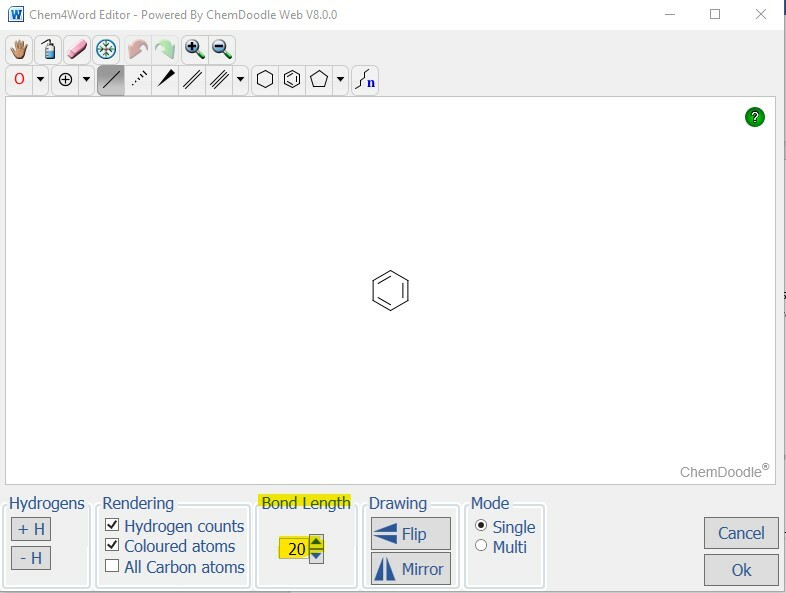 First, double-click on the chemistry drawing to open it in the editor. Next, change the bond length to achieve the desired size of picture in your document. Click OK to resize the chemical drawing in your Word document.. If you want to change the size of all of the chemistry drawings, you need to repeat this process for each structure.